“Must be something dead,” my husband mentions as we drive down the road towards the county park where we walk. “Yep!,” I agree as I look ahead at the numerous vultures congregating in a tree and in and along the road. 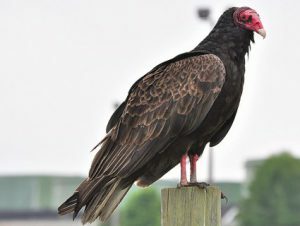 They are Turkey Vultures or “buzzards” or “turkey buzzards” as many people in the United States know them and they feed on dead animals (preferably the fresh kills). Sure enough as we go a little further we see a poor dead deer lying beside the road with its guts hanging out and that is all I will say as I cannot look anymore. I always get the chills when I see such a thing as it grosses me out. We can thank these vultures though because they will definitely clean up the mess which isn’t a bad thing if you think about it. The Turkey Vulture is one of two different types of vultures found in the United States. The other is the Black Vulture. Both are considered a raptor or bird of prey along with owls, hawks, eagles, falcons, kites, and ospreys. However, some do not categorize the vulture as a bird of prey because of it being a scavenger unlike all the other raptors. So it is up in the air on that. You will see them soaring over open land or wherever using their exceptional sense of smell to find their next meal. This may not only include dead mammals as mentioned earlier but also reptiles, other birds, amphibians, and fish which they generally get from receding waters that usually end up dying anyway. Fun Fact: Turkey Vultures have bald heads so that they are able to stick their heads inside dead carcasses without the remnants sticking to their unfeathered heads. Yuck!! Turkey Vultures can be seen year round in most of the southern United States including Kentucky where I live. The more northern vultures are seen anywhere from late March through December then migrate usually a long distance as far as South America. You will see them mainly around open areas that includes fields, along the roadside, in the suburbs, in landfills, on construction sites to name a few. Look for them riding the thermals by power plants too. Fun Fact: Hinkley, Ohio declares March 15th as Buzzard Day the day that the buzzards supposedly return. This was started in 1957. Turkey Vultures do not build nests. Instead they lay their eggs in hollow logs, crevices, under fallen trees, abandoned buildings, or caves. 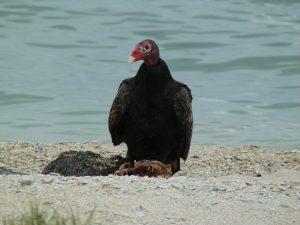 The Turkey Vulture only has a few predators which are Great Horned Owls,Red-tailed hawks, Golden Eagles and Bald eagles. A Turkey Vulture’s digestive juices kill bacteria that is why they do not get sick eating the dead meat. A Turkey Vulture vomits as a method of self-defense. They can project it up to ten feet. Turkey Vultures can live up to 20 years in the wild. They fly with their wings raised in a V shape. They are able to smell carrion up to a mile away. They often roost in large groups. 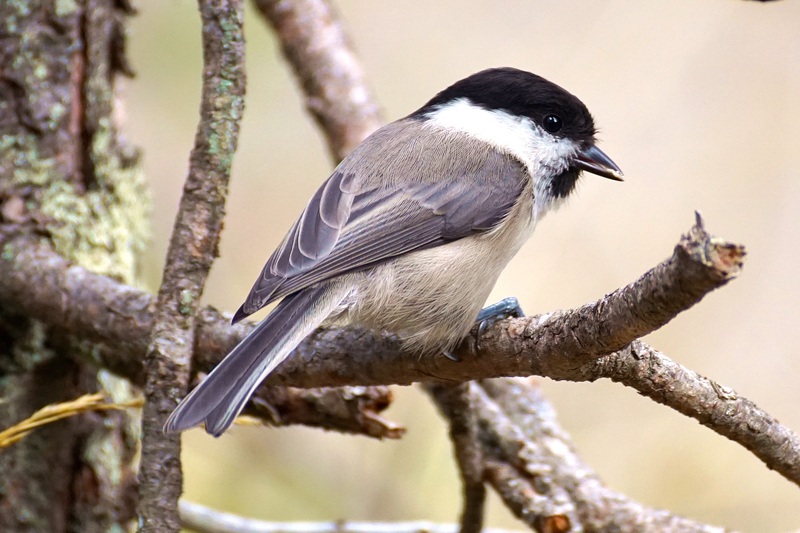 You may see them in trees along the road at night gathered close together. Turkey Vultures are one of two different species of vultures that are found in the United States. The other one is the Black Vulture. 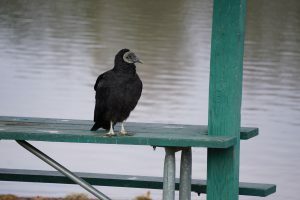 Turkey Vultures are year round residents in the more southern states and in the northern states can be found from around March through December. You can’t miss this ugly bird with its dark brown wings and bald red head as it soars in the sky riding the thermals searching for their next bloody meal. It happens to be what they like to eat which is dead animals. It’s not really a bad thing even though it sounds kind of gross as they do clean up the mess left after a kill. Have anything to add from your own experience? Please feel free to make your comments below. Posted in Raptors Birds of Prey.